ORLANDO — A triple threat of hard rock music was blasted out at the Amway Center on Saturday, March 9, as P.O.D, Three Days Grace, and Shinedown brought the noise to an enthusiastic crowd of alternative rock music fans. Combined, the three acts featured at this concert have sold around 20 million albums worldwide, and if you turned on a modern rock radio station in the last 10 years you have heard many of the now classic songs performed by these groups. 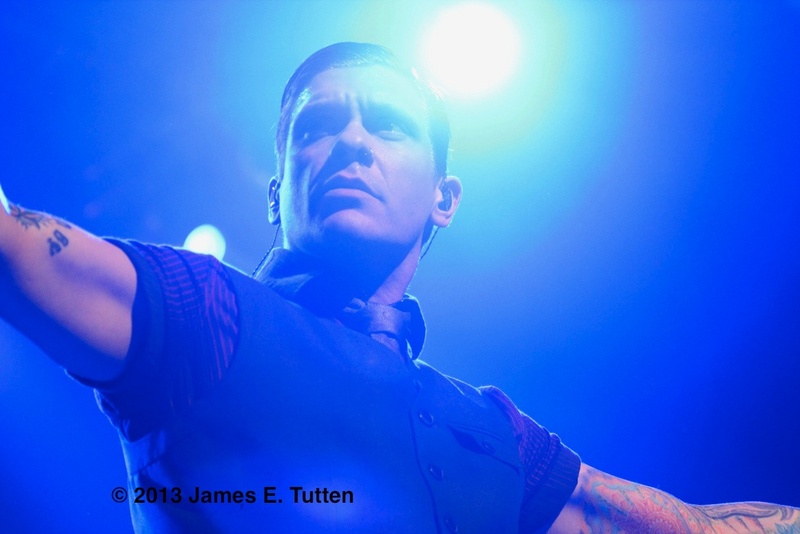 “Rock and roll is not just a genre of music, not at all, rock and roll is a way of life,” said Brent Smith, lead singer and songwriter from Shinedown, on-stage at the Amway Center during his performance. Kick-starting the evening was the spiritually inspired “nu metal” band P.O.D. 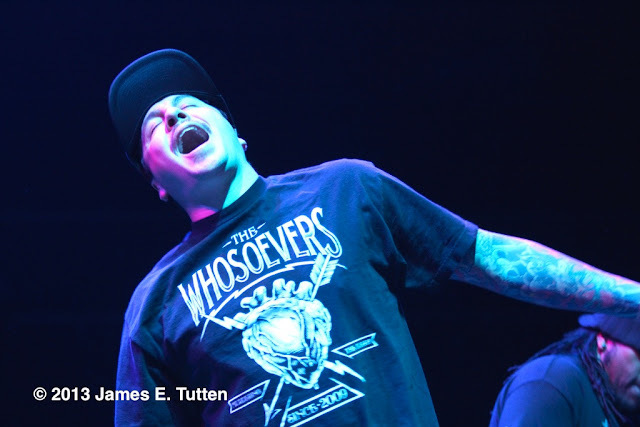 Lead singer Sonny Sandoval was right in the zone along with his fellow band members and started the evening concert with a strong positive, energy that enveloped the audience. Known for their unique brand of righteous rock with a powerful message, P.O.D is also the most veteran of all three groups that performed. They have sold over 13 million albums and have been an established group for over 21 years. This show also featured Canadian rock band Three Days Grace, with newly selected lead singer Matt Walst, who replaced founding member Adam Gontier. Gontier separated from the band in January of this year over health concerns and creative differences. Despite the general upset from fans over this change, Walst held his own with Three Days Grace and is settling into his new musical role. Their popular and well-written songs like “Chalk Outline” and “Never Too Late” are strictly simplistic and drive home a clear message of refined rock music. Overall the group had a revitalized energy and positive attitude on-stage. “I’ve seen Three Days Grace before when they were touring with Evanescence, and this time around the group’s energy was just amazing,” said Vikki Delzingaro, a long time fan of the group. Shinedown, which formed in Jacksonville, Fla. back in 2001, finished off the evening with an action packed performance of energetic anthem rock. With the breakneck action seen from songs like “Devour” and “Diamond Eyes,” the band left everything on-stage and fans screaming for more. With all of the bands from this evening rocking out the main stage it was a surprise to fans as several members of Shinedown, except for drummer Berry Kerch, appeared in the center of the Arena on a raised stages in the middle of the pit. “When they came on-stage in the middle of the audience at the beginning when it was least expected, that was incredible,” said Amanda Zabic, a Shinedown fan. Going back to the center riser near the end of the concert, lead singer Brent Smith and guitarist Zach Myers played around with several acoustic song riffs in search for what they called the ultimate song to end the evening, which led them to perform their popular cover of the song “Simple Man” by fellow Jacksonville rockers Lynyrd Skynyrd. The powerful anti-bullying anthem “Bully” ended up as the final song performed by Shinedown. To inspire a personal connection and to highlight the message of the song, the group integrated a video from a true story about a girl named Amanda Todd. Todd shared a video on YouTube about the mistakes in her life that lead to her being bullied, blackmailed and assaulted. She was eventually pushed over the edge and committed suicide on Oct. 12, 2012. This great concert featured some of the best rock groups from around North America with Shinedown representing Florida, P.O.D representing California and Three Days Grace representing Canada. All of these groups have excellent music and millions of fans that will surely keep them in heavy rotation for years to come. 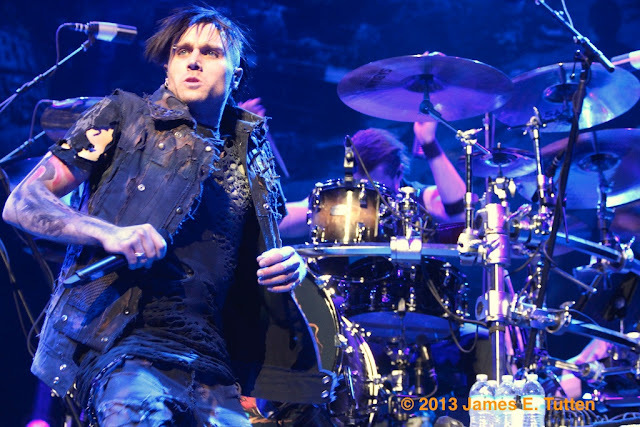 Three Days Grace new lead singer Matt Walst who recently replaced Adam Gontier on tour. P.O.D vocalist Sonny Sandoval rocks out at the Amway Center on Saturday, March 9.